For decades, if not hundreds of years, artisans have turned to khadi paper to complete their work. 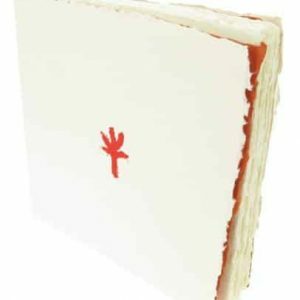 This handmade paper is very unique and was seen as the premier paper for artistic endeavors. Read below to find out more about Khadi paper, its history and its uses. 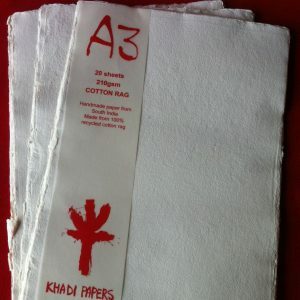 The kind of paper that most people are familiar with is nothing like khadi paper. 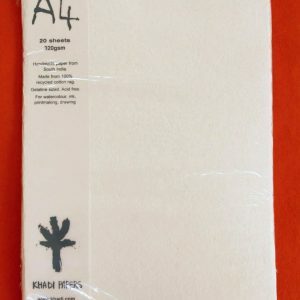 Regular paper is made from trees. Some paper makers also use raw materials like bamboo, hemp or flax. These raw materials contain cellulose and lignin. The lignin holds the cellulose together by acting like a kind of glue. The process of making paper washes away the lignin and allows the cellulose to be restructured. 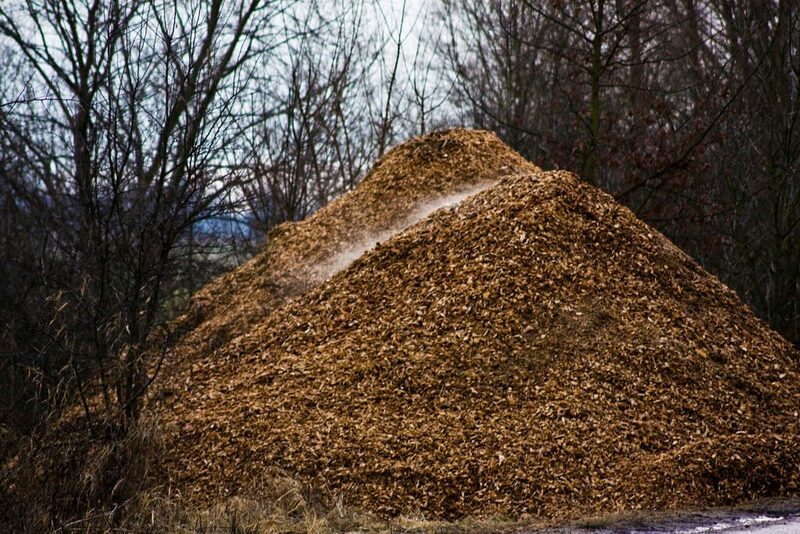 This process makes use of wood pulp, or pulverized wood and water. Chemicals are used to process the pulp, and the end result is a paper sheet. These sheets can be huge but are processed down to proper thickness and size. In the final steps, wood producers can introduce dyes for color or other chemicals for stabilization. Traditional handmade paper follows a similar process to today’s wood paper. The difference is usually in processing the pulp and in the materials. Many traditional handmade papers do not make use of wood. While wood has become a very popular material for modern paper, traditionalists still use other fiber. Use of fibers like hemp or bamboo allows for handmade paper to be tree-free. Many people like knowing that their paper is tree-free because it is better for the environment. Of modern tree pulp paper, trees obviously have to be cut down. This clearcutting of our natural forest has lead to much criticism. The use of handmade paper is just one we people can contribute to more sustainable practices. 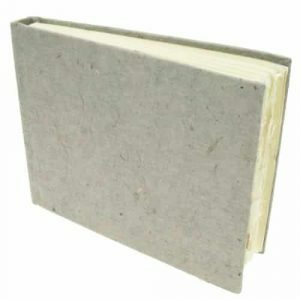 Handmade paper also uses the natural cellulose of the plant it is made from. 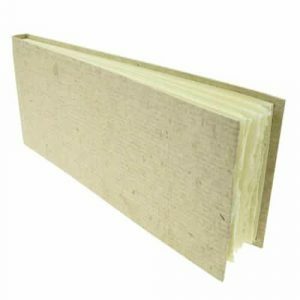 This allows papermakers to produce a completely natural paper. The use of wood pulp for papermaking has only been used somewhat recently, but now most paper is made of wood pulp. 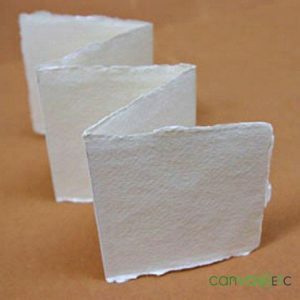 While wood pulp paper is cheap, it can’t beat the feel and useability of traditional handmade paper. Rag paper is another name for cotton paper. Cotton papers are not as common as wood pulp papers, but are of much better quality. Cotton Rag paper is usually able to last for hundreds of years without fading or deteriorating. 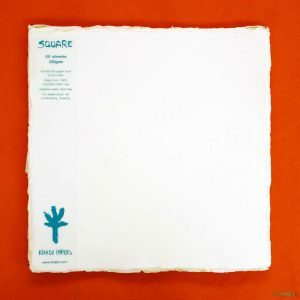 Many people use rag paper. Government agencies use rag paper for important documents. Archival documents are often printed on rag paper. Another important use for rag paper is in the production of money. This is useful because rag paper resists deterioration and distortion. Rag paper is also pressed to different grades, usually in quarter increments. Paper that is graded 100% cotton can also sometimes contain acid. This paper should be tested before being used in archival documents. Rag paper is used to print currency because it is some of the best paper to be had. Khadi paper is a different kind of rag paper. 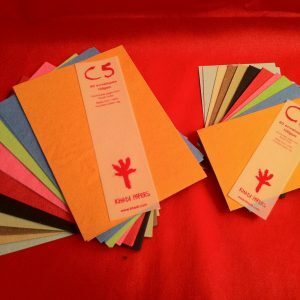 These handmade papers are made of cotton rag. This means that khadi paper is actually made of recycled t-shirt cuttings. The cotton rag is much longer than linters cotton. The strength and durability of khadi paper is in its long fibres. Having these long fibers means that there are less chance of a strand to unravel, which would lead to failure and breakage. The cotton rags are also produced with a neutral pH size. This provides a product that is truly acid free. When producing works of art, the pH of your paper should be considered. Acids in the paper may deteriorate your work. It may also cause your finished product to wear more quickly. Using a neutral pH size provides the strongest and safest foundation for a painting. From clothes, to furniture or even knives, many people prefer having an item that is handmade. Some simply prefer owning an item that is unique to them. When you hire an artisan to make a product for you, you know it is special. You know a person actually took time and care when producing the item. You know it was money well spent. The same is true when you purchase khadi paper. This paper is handmade. It’s also only made in one place by one group of people. Working with this handmade paper is a a treat in itself. 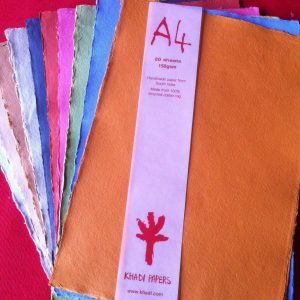 Handmade paper is also an eco-friendly choice. When modern papers are produced, chemicals and dyes are added. This in turn harms the environment. The production of handmade paper does not use chemicals. You can use your paper knowing it produces less of an impact on the environment. 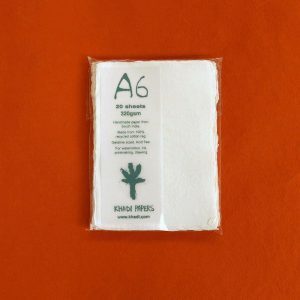 Our khadi paper is also produced using recycled shirts. 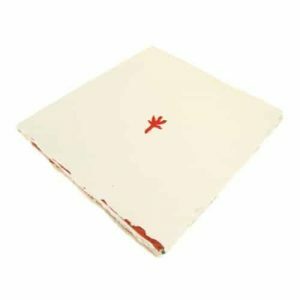 Not only does this reuse something that has come to its end of life, but khadi paper lives on as a prime choice for discerning artists. 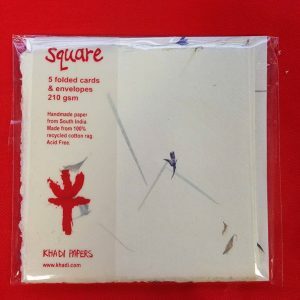 For artists who are just starting to use khadi paper, there are usually some questions. Some people are unfamiliar with this paper and are unsure of which medium this paper is best suited. Many people have said that khadi paper is appropriate for a large number of mediums. 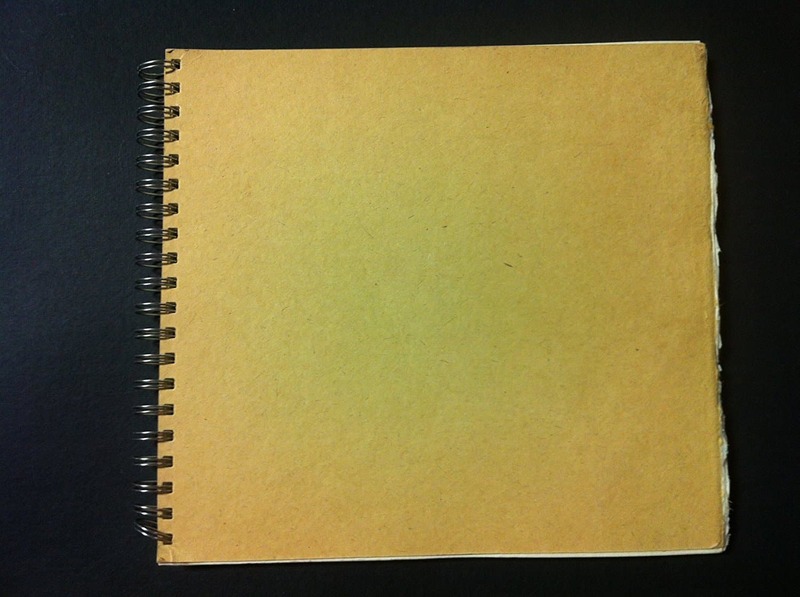 Many people choose to keep a khadi paper sketchpad for their drawings. The textured paper makes many drawings look even more interesting. Other artists have had success with water colors when using wet-on-wet technique. Some find that khadi paper is “thirsty,” meaning that it soaks up a lot of water. Again, this is fine for using wet techniques, however it can soak up a lot of pigment otherwise. 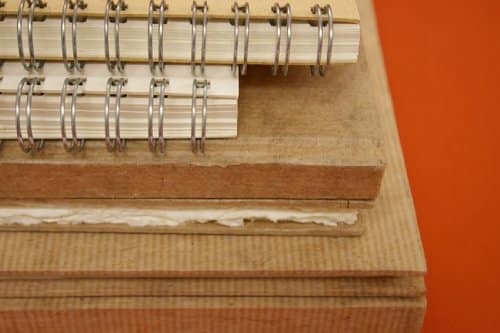 Many people also choose to use gesso to cover the paper and make a great surface for paint work. While this is not necessary for painting, it can help give more of a uniform surface. Handmade paper is like a work of art in itself. 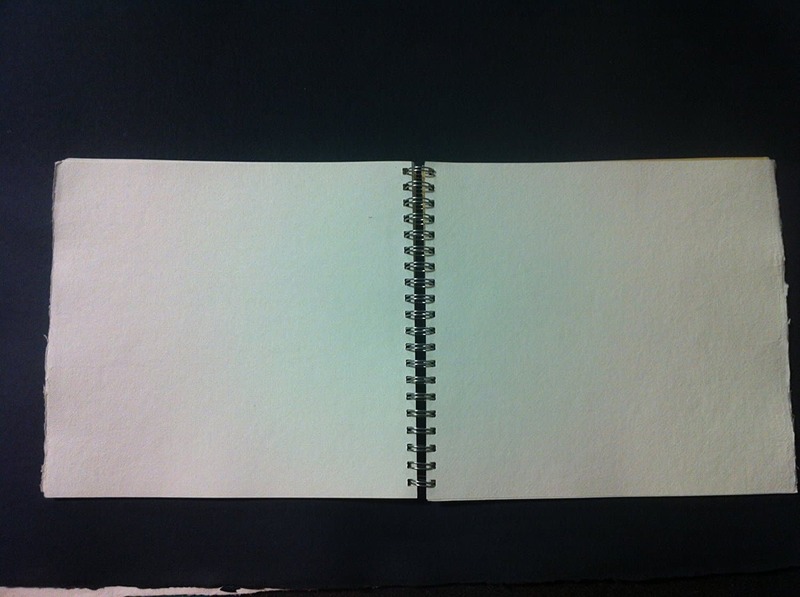 It doesn’t have as uniform a texture as other forms of paper. Because of this , many artists say the paper produces “happy accidents.” These small imperfections if the paper help give it a life of its own. Many artists prefer their paper have a bit of texture. Khadi paper certainly has an excellent texture. It will be the perfect backing for any of your artistic endeavors. 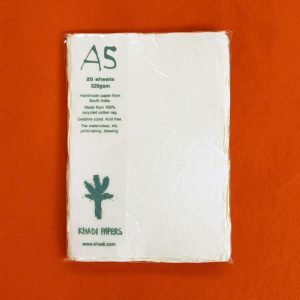 Handmade paper is able to come in all styles and wights and even shapes. Khadi paper commonly comes in 100 LB, 140 LB, or 300 LB weight. This means that the “heavier” a papers weight is, the thicker the paper will be. 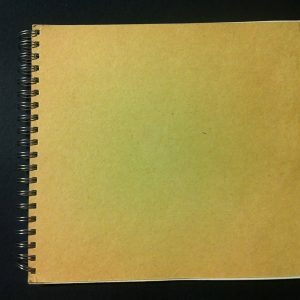 If you’re looking for handmade paper to do pencil or charcoal drawing, a lower weight would suffice. If you’re doing watercolor or other paints, consider getting a heavier weight paper. Though, this is not a rule. Experiment with your art and make something unique! 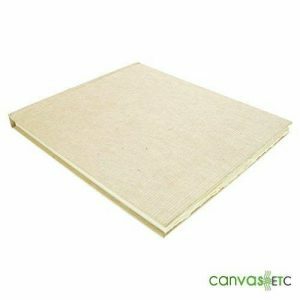 Canvas ETC also sells handmade paper in many different sizes. 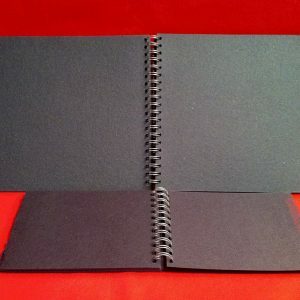 Booklets, round papers, and even standard sizes are available. 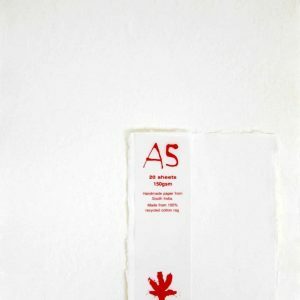 You can get handmade paper in styles as individual as your art. If you’d like to learn more about this paper or ordering, contact one of our experts today.